ELEGAB x PLASEEBO at RAMPAGE STUDIOS! It has been a whirlwind around here since I returned from London at the end of April! First there was Superfestival, then (the very next weekend!) there was an event run by Mandarake in Nakano and then yesterday and the day before was Design Festa - a marathon 2 day event - 8 hours each day! Just about everyhting from Sufes and the Mandarake gig is gonzo now, but I will be doing a major shop overhaul today - getting averything I have left from Design Festa loaded in there and live by around 6AM tomorrow! So - onto the next main event! ELEGAB x PLASEEBO at RAMPAGE STDIOS!!!!! Sure to be a most excellent exhibition!!! 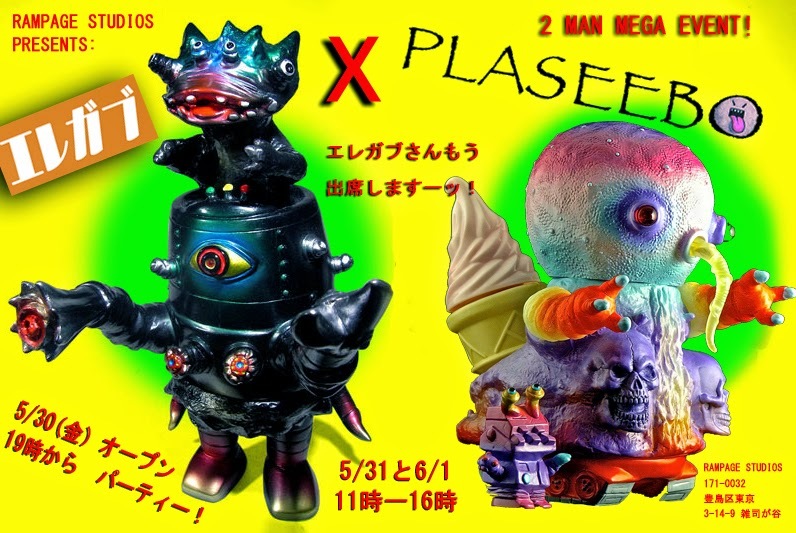 Featuring Japanese Sofubi maker ELEGAB (Nari-san) and American Toymaker and Artist PLASEEBO (Bob Conge). 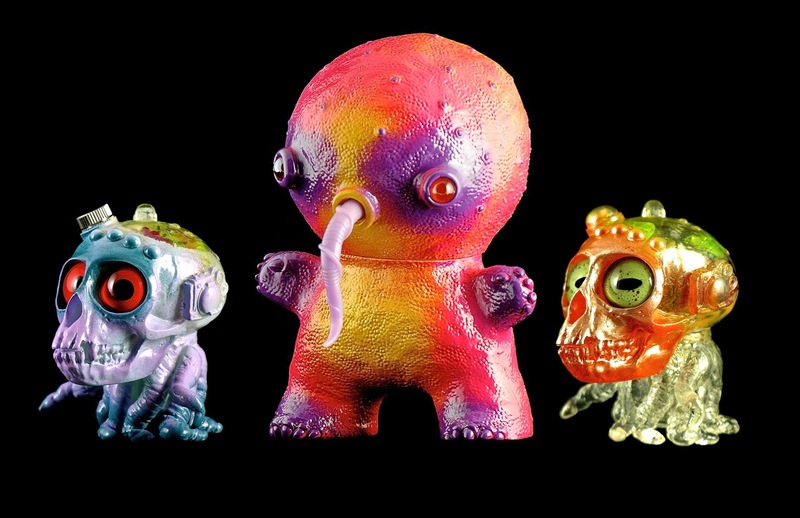 The show is set to showcase loads of customs by both artists, as well as a smattering of customs by me (utilizing figures from both Plaseebo and Elegab). Adding to the excitement, ELEGAB will be previewing a BRAND NEW full sized figure at the show - dropping the first release! The show will open at RAMPAGE STUDIOS on Friday (5/30) - party and sales to get underway at 7PM that evening. The show will also be open Saturday (5/31) and Sunday (6/1) from 11AM-4PM. Hope to see some of you guys at the event!